The lead nurturing campaign is a cornerstone of your top of funnel lead generation activity. It’s critical to make the time to revisit this campaign on a regular basis to ensure it’s still on message and delivering the goods i.e. marketing qualified leads or MQL’s. Late last month, a diary reminder popped up telling me it was time to do exactly that, so this month it’s time to measure, review, build and execute our refreshed lead nurturing campaign. But first, I thought I’d share the process I’m about to go through, hopefully this will give you a framework to do exactly the same. Step 1: Who are you nurturing? People who have downloaded key pieces of thought leadership from your website. People who have fallen out of funnel e.g. your “closed – lost” opportunities from the CRM. People who have come into your CRM and are flagged as prospects but are yet to be part of an Opportunity, you may identify these people are unqualified “Leads”. Lost customers. If your business or organisation runs on an annual contracted period e.g. the Telco or Insurance industries, taking note of contract end dates provides a perfect trigger to try and re-engage this audience. New staff members. HR may drive this as an on-boarding campaign, the principles of a nurturing campaign still apply. New business or channel partners, nurturing is a great way to introduce them to your business and the key people within your business. For the purposes of this blog post, I will be focussing on unqualified leads. People who have entered our CRM either directly from the sales team or previously unknown contacts who have downloaded information from our website and have entered into Eloqua as a lead. Last week, I spent four days with a new Oracle Marketing Cloud Eloqua customer in regional Queensland, Australia. They provide higher education services to a domestic and international audience. The first two days included a deep dive into their buyer’s journey. They decided to focus on the high school leaver, this included students from as early as year 9 through to year 12. We mapped their buyer’s journey using a process from Designing CX, a process developed by Oracle Customer Experience Solutions. The process uncovers key stages in that journey which in-turn enables the marketing team to build the right content to help progress students in their decision or buying decision journey. This video provides you with some background to the CX Journey Mapping process and the link above provides you with all the assets you need to conduct a workshop in your own business. Hear what workshop participants had to say about Customer Experience Journey Mapping when they stepped in to the customer’s shoes and felt, first hand, the emotion of customer experience. Step 3: What are your buyer’s pain points? In his book, the Leaky Funnel, Australian marketing consultant and author Hugh MacFarlane says that until a business or person feels some degree of “pain”, they will not make a purchase. I agree with this premise, it’s the same for consumers or organisations. Until we have a need or have a degree of pain or discomfort about something, we generally won’t look to spend money to get the problem fixed. What are the business problems you solve better than your competitors? In my world, we sell, implement and provide agency services for the Oracle Marketing Cloud. Identifying the pain points that our prospects feel is something we’re pretty good at :-). With 50 plus organisations currently on our books, across a wide range of industries we’re in a good position to understand their pain points. As a beginning point, they look something like this. Only when you’ve really been through steps 1 through 3, can you start the Content build process. Building content for contents sake is a bit like winking at someone in the dark! The process of building the right content is something you need to do in the context of your buyer’s journey. You need to ensue the content resonates with them based on the pain they’re experiencing on their journey. Last month, we held a three-part webinar series with our good friends at Curated Content, an Australian based Content Marketing agency. 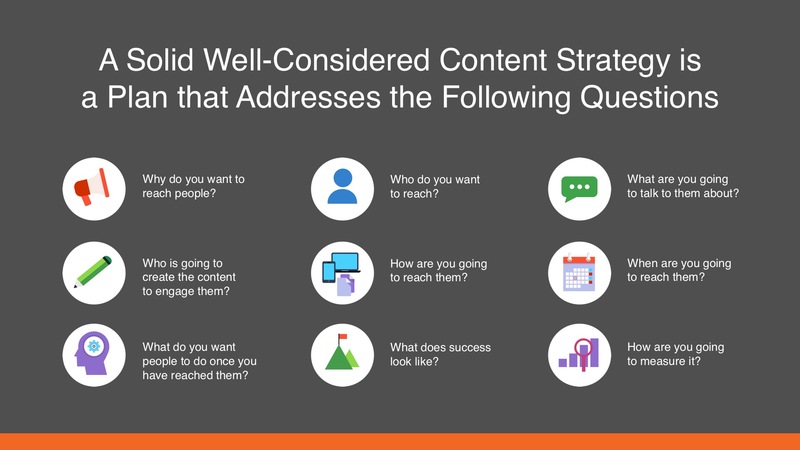 The slide below provides a framework for you to use (it’s the one I’m using) to develop our Content Marketing strategy. Now this is the part I enjoy the most, bringing all of the above together and executing a plan to deliver the right message to the right people at the right time. 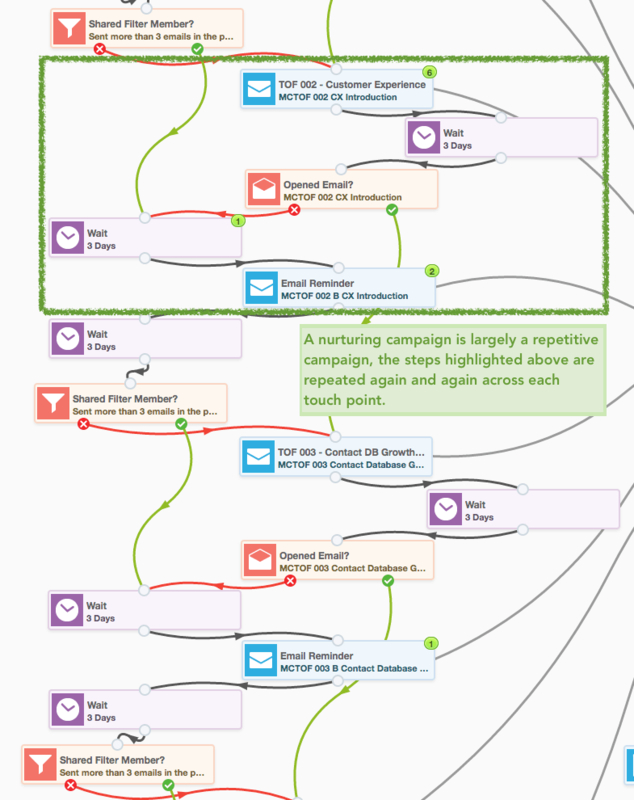 We use Eloqua to execute our nurturing campaigns. Trying to juggle all of the above with an email marketing platform like MailChimp, Campaign Monitor, Salesforce Marketing Cloud (ExactTarget) or even Responsys from Oracle, would be a challenge. A Marketing Automation platform, that gives you the ability to drive a very personalised experience is key. You want to be in a position to activate the campaign and then get on with business, not to be constantly navigating your way back through HTML and complex rules. What does a Marketing Automation platform do better than an email marketing platform? 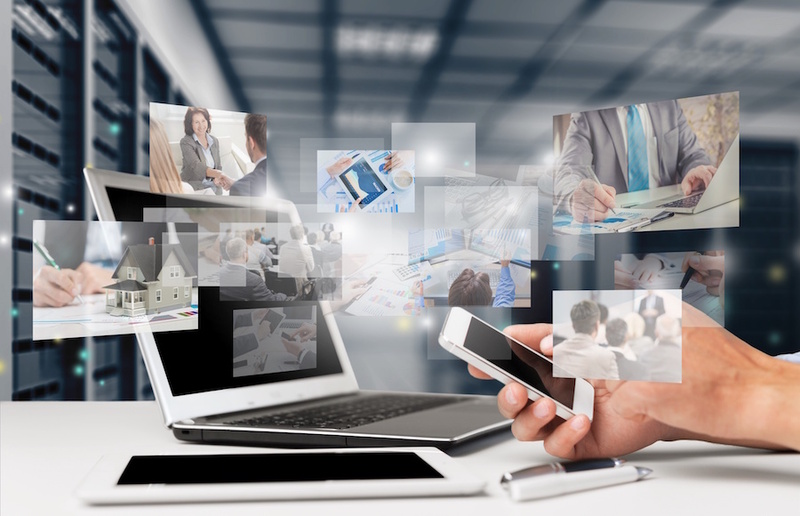 Essentially, it’s the fact that you’re able to automate the campaign that is key. Ok, before you say “yeah, Derek I get that“, take a look at the image above from the Eloqua campaign canvas. The fundamental principle of a nurturing campaign, specifically a lead nurturing campaign is to keep your brand in front of prospects. The desired outcome being that when their business problem gets to a point where they need a solution, your brand comes to their mind first. To help support this, a nurturing campaign is generally designed to be repetitive. The automation in play above is quite basic looking to understand if they opened the first email and then sending a repeat with a different subject line and at a different time of day and perhaps a different day of the week. Use Digital Body Language to qualify, qualify some more and keep qualifying. Checking to see if a contact has Opened an email is the most basic of values, the Click-through is a much better indicator of engagement. From there, you can look at general website visits to your website/s or, using Shared Filters on the Eloqua Campaign Canvas, you can look at specific web page visits or groups of web pages. For example, you may have a series of three or four website pages talking to a specific product or service. Eloqua users can group these as a Shared Filter and use that as an indicator of interest should the contact visit one or all of those pages. Possibly one of the best indicators of digital engagement is the Form Submission. You can mix that with Progressive Profiling where you present questions that relate to the buyer and their journey. With all of the Digital Body Language you will capture through the nurturing campaign, building a Lead Scoring model is the next logical step. Eloqua customers can do this easily with Eloqua’s native Lead Scoring module. Everything you need to get started is included in Eloqua Basic. The blog post below from Jeff Cohen will give you some tips worth reviewing before you get started on editing or building a new Lead Scoring model. Read Jeff's complete Lead Scoring Blog Post "6 Ideas to Expand Your Lead Scoring Model Beyond the Basics"
DISCLAIMER: I’m currently employed by an Oracle Marketing Cloud business partner, Marketing Cube. My role is as the Customer Success and Marketing Director and I spend most of my time with customers helping them develop the right strategies to execute their marketing automation campaigns. In a previous life I was a Lead Generation Consultant at Ernst & Young where we based our consulting process on the work developed by Hugh MacFarlane, author of the Leaky Funnel.